An EICR, or Electrical Installation Condition Report, is a report that is provided by a qualified person summarising the findings of an electrical inspection to confirm how safe the existing electrics in your home are. In this project we will explain what the electrical inspection should cover, and when or how often you should get an EICR. There are a number of things that you will need to do to ensure that things go smoothly, and how you can be sure that a thorough inspection is completed. Read on to find out all about Electrical Installation Condition Reports. We all are aware of the dangers of electricity, especially if there is a fault with the “electrical installation” – which is the term used to describe of any part of the wiring and the electrical components, such as fuse board, switches and sockets, in our homes. 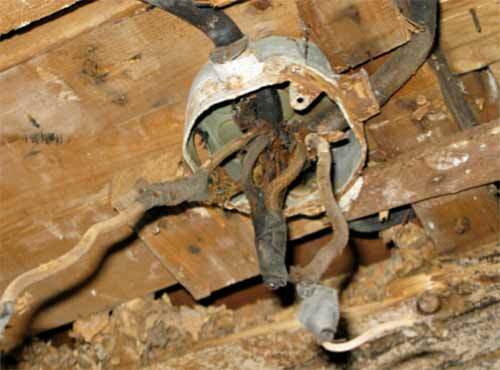 Clearly it is a good idea to periodically check that all the electrics in your home is sound and safe. This is what the EICR, or Electrical Installation Condition Report, is for. At the end of this project we give you some scary statistics about the number of injuries and fires that are caused every year by electrical faults which lend weight to the need for this kind of inspection and report, particularly if you might be held liable, say if you are a landlord. We’ve put them at the end as most people will see the need to check your electrical installation without resorting “scare tactics”, however they are quite eye opening! 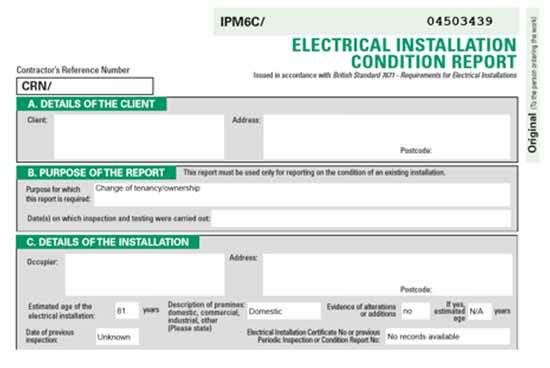 What is an EICR or Electrical Installation Condition Report? The EICR is the report issued following an inspection of the electrical installation, which as we have mentioned includes the wiring and other electrical equipment in the house. The current electrical regulations are used as a benchmark and if your electrical installation falls short of these, then the report will highlight this. In this project we will be focusing a domestic EICR, but there are versions for business and commercial premises. The inspection needs to be completed by a qualified person who has the training and experience to complete the report, ie, an Electrician qualified to make inspections. The inspection is a visual inspection and also involves tests that are carried out on the wiring and electrical equipment such as the fuse board or consumer unit. The aim is to identify any deficiencies and hazards, in an order of priority that needs attention, especially anything that might be a fire risk or create a danger of shocks. These will be shown in the report, but the report will also list all the circuits in the property which can be very useful. The EICR does not test the portable appliances, such as the things that you plug into to the sockets like lamps and portable heaters. In order to ensure these are safe you need to have a PAT or Portable Appliance Test, which qualified electricians can complete. Why is an EICR needed? Contrary to many of the scare stories about it being a legal requirement, you are not legally obliged to have an electrical report, however there are occasions when it is a very good idea, or you might be required for other reasons, such as it being a stipulation of your insurance policy. They are needed because all electrical installations, the wiring and the electrical components such as fuse boards, deteriorate over time. The sleeving around the wires will perish as it gets old, cables will get pulled and might be worn and frayed. Components have a working life so will not last of ever. Accidental damage may occur when screws or nails hit hidden wiring. Any form or flooding can cause serious problems… there are lots of ways your electrical installation can be damaged over time. As we have mentioned above, the regulations governing how the electrics in your home will change from time to time as they get updated. The EICR will then highlight where the current installation falls short of the new or current requirements and what is needed to get it up to the current standards. As we have already eluded it is often necessary to have an electrical inspection to satisfy other requirements such as insurances or health and safety legislation in the workplace. Clearly if you suspect that there might be any danger, a thorough inspection and report will provide peace of mind, and potentially ensure that there is no danger. When Is an EICR Needed? As we have established there is no legal requirement to have an EICR, however there are some recommended guidelines about how often you should have an electrical inspection. At any time you believe that the electrical installation has been damaged or is faulty then an inspection should be conducted and a report published. This might include if you suspect the wiring is old or faulty or after any flooding or a fire. If you are not sure when your electrics were last tested you should have them inspected. Most electricians will put a sticker somewhere obvious, such as on the consumer unit, stating when the inspection was completed and or when the next one is due. You will receive the report either in hard copy, but more and more these days electronically, so have a hunt for the report to see when the next is due. If you have recently purchased the property check the paperwork you received from the solicitors, although as it is not a legal requirement there might not be a report there. As you will see below there is a fair amount of work involved with an EICR if it is done properly. Some electricians will price the electrical report keenly to win the work and then make up the difference by charging a little more on the remedial work. As it can sometimes be difficult to get another electrician complete the remedial work rectifying any faults, it can be difficult to split the work, so it is often sensible to expect the inspecting electrician to complete the remedial work. Going cheap is tempting but probably not a good idea as you do want the electrician to complete a thorough inspection and not rush. As we have suggested, over all you will probably end up paying around the same price for the report and remedial work in the end anyway. Always shop around to get quote to ensure you know the market rate. You can find a qualified electrician in your area here. The cost of the inspection is based on the time that it will take the electrician to complete the report. This will be determined by the amount of circuits there are that need to be tested, which will be more the large your home is. Expect to pay in the region of £15-20 per circuit (plus VAT at 20% if applicable). Very approximately this would work out at around £120+ for a small 1 bed flat taking around 3 hours and £180+ for a larger house with 3+ bedrooms, which would take more like 5 hours to complete properly. As most home owners will not know how many circuits they have, many electricians will price based on the number of bedrooms as a proxy. 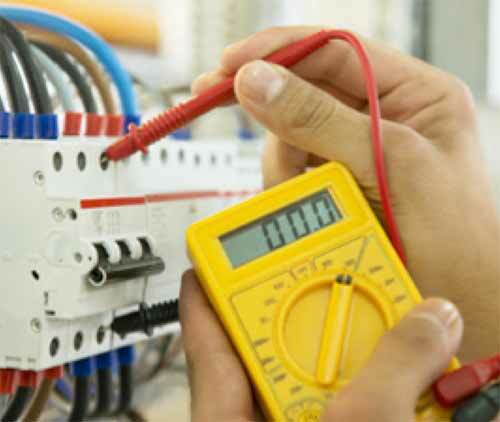 The electrical installation is inspected and tested against the current standards. As we have mentioned already there is a visual inspection and each circuit is tested. They will be looking for faults with the wiring, components and earth bonding, including the serviceability of all the equipment, particularly safety components. When each circuit is tested it will need to be switched off for a short time, so make sure you don’t need the power to be on! They will need access to every socket, switch and outlet, so make sure that they are accessible and that if furniture needs to be moved it can be. Try to ensure that the house is relatively tidy, as they will not want to be wading through your clutter to complete the work. As the power is likely to be off, it is probably worth planning to leave them to it for at least a couple of hours. Once the inspection is completed the electrician will then go away and prepare your report, however if there are any issues that are immediately dangerous these will be dealt with then and there (make sure you know your electrician’s hourly rate as this will not be included in the inspection). They will either fix the problem or make it safe so that it can be fixed properly at a later date. These are issues that are coded as “Code 1” which are the most serious of the 3 priority levels. Do not be surprised if there are issues found with your electrical installation; it could be up to 10 years since the last report so the regulations are likely to have changed meaning some issues will be flagged up, not to mention any deterioration that might occur. The Electrical Installation Condition Report is an 8+ page document which outlines the details of the property and the findings from the inspection. If a circuit cannot be turned off for some reason it will not be able to be tested and this will be indicated in the report. If there are too many “limitations” this will indicate that a thorough check has not been completed. There might be legitimate reasons for this, such as circuits that cannot be turned off or access to rooms has been restricted stopping complete testing. Often it is useful to confirm the limitations in advance so that all parties understand what it require and what will not be completed. In this case this report has deemed the installation “satisfactory”, however only after the remedial work had been completed and the report reissued. There are a several of pages of notes included with the report specifically for customers that are very detailed and explain what the report entails and what customers can glean from one. For even more sobering statistic see the Electrical Safety First charity, which is where this figures came from. In summary, getting your electrical installation inspected and having a report is a very useful thing, even if you are not obliged to have one, legally at least. It does need to be completed by a qualitied expert so this is definitely not a DIY task, but electrical inspection are one of the topics that we get asked about a lot. Hopefully having read this project you now have an idea of what to expect and how you can prepare to ensure that your inspection and EIRC go without a hitch.